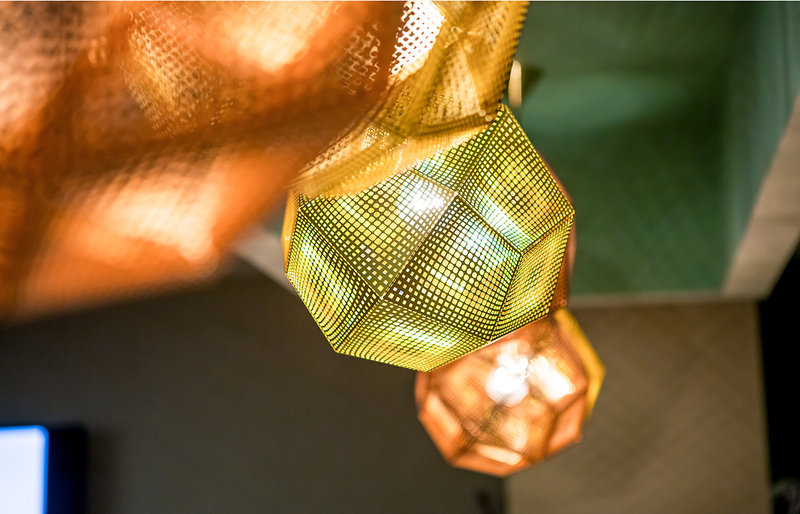 Studio Hive has maintained a long-term relationship with Gray Plant Mooty, working with them on the design of their offices both locally and nationally. 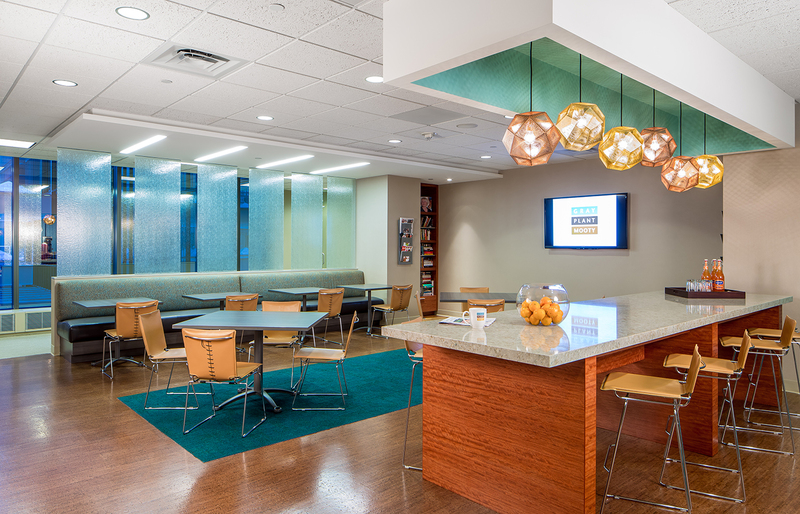 Members of Studio Hive worked with the firm on their original move to the IDS tower in 2004 and most recently, completed a four-phased remodel of the 110,000 SF Minneapolis offices in 2014. In response to changes in their business practice, Studio Hive was engaged in an evaluation of the firm’s Minneapolis real estate to identify opportunities for greater space efficiency. The analysis and implementation resulted in a 10% reduction in their real estate usage while incorporating new program components. 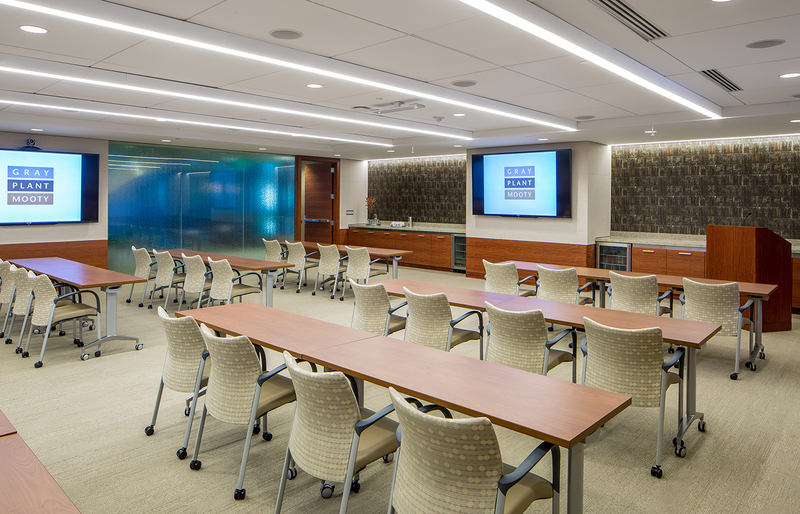 Elements in this remodel included adding meetings rooms, including a new seminar room that can seat up to 100 people, a new employee breakroom space that also functions as an entertainment venue for client-focused events, and the conversion of underutilized support staff workstations to new attorney offices. Studio Hive is currently working on an expansion of their Washington DC offices, which will be completed in 2016.